The sculpture is made of wire and thread and the bone structure is made with a single piece of cooper wire forming a fragile sculpture. Entirely connecting one piece of wire played with its own weight and balance to stand. 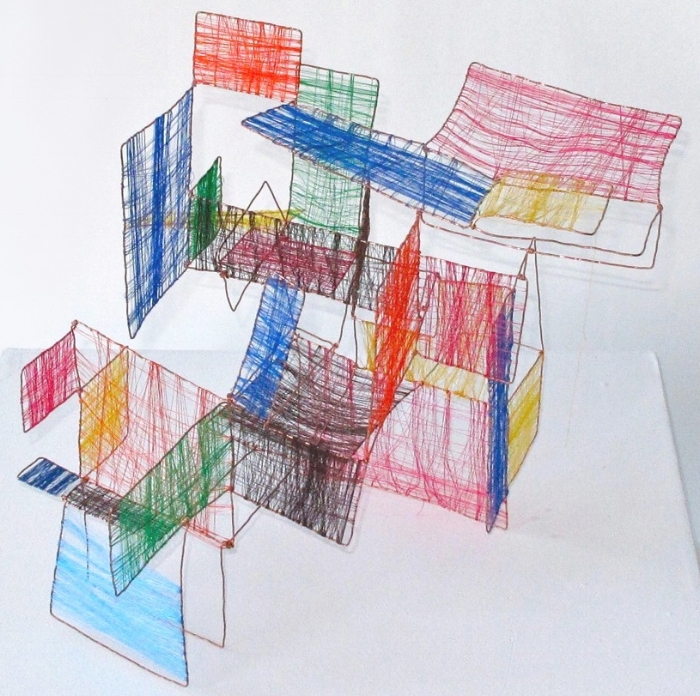 Then I colored the sculpture with colorful silk threads.